Legendary magician makes an unscheduled stop in the Midwest after a problem surfaces with his plane en route to the Big Apple. David Copperfield is used to performing death-defying escapes. But even he was a little worried about this one. The famed magician was flying from Las Vegas to New York City Monday morning to appear on the Today show when his plane was forced to make an emergency landing in Peoria, Ill., after a disturbingly "loud noise" was heard during the flight. The 56-year-old Copperfield chronicled what he called a very "scary" situation on his Twitter page. "Everyone is ok. Emergency landing in Peoria, Illinois. So scary," he tweeted. He later posted twitpics of the plane's diverted flight path from his in-flight television screen as well as himself in the airport terminal,adding, "Happy to be on the ground and safe." As the old saying goes, the show must go on, and while the illusionist was unable to make it in person on "Today," he did appear via Skype and offered more details about what happened. 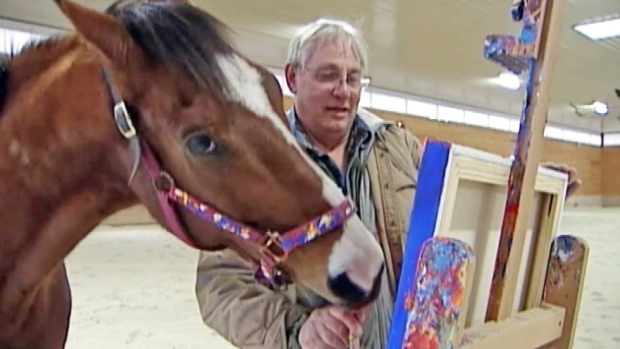 Former thoroughbred race horse lives out his retirement years by painting abstract art on canvas. Ashley Olsen's Airplane Engine Explosion? 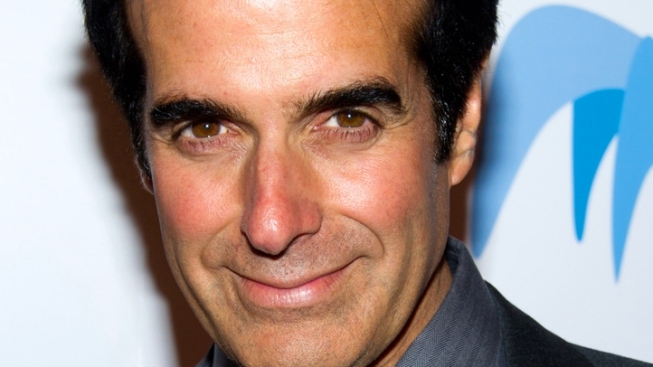 Flight Delay Less Dramatic, Due to "Electrical Odor"
"We were 37,000 feet in the air and I recorded [the noise] because it was lasting for a long time,'' Copperfield told Matt Lauer and company. 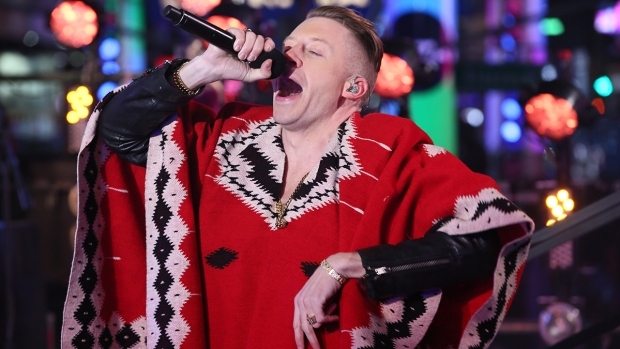 "I heard this [crackling] sound and it wouldn't stop. I felt kind of freaked out and they told us we have to it go back for our descent. We were going in a spiral with G force, and we finally got to the ground...and it turned out there was snow all around." After getting his bearings, Copperfield also kept his promise to perform a trick for the gabfest, albeit an impromptu one that he recorded in a hangar. And for good measure--and no doubt appropriate in this case--he conjured up an airport grounds worker out of thin air.